Track days are a great way to experience a racetrack, but there is a lot to consider before you turn up. Below you can find a few recommendations from a seasoned race driver to take into account before any track day. 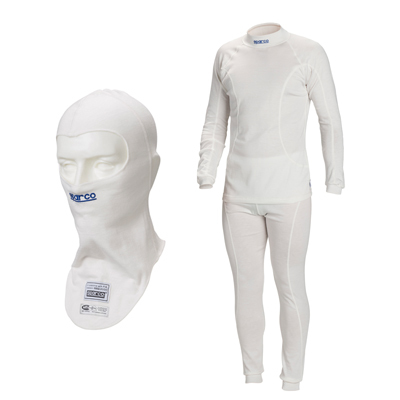 Grand Prix Racewear (GPR) has kindly listed the track essentials for Motorsport Days’ readers. Whether you are a regular Clubman racer or a track day user, we recommend that you take a close look at each of these products. GPR has worked hard to increase the diversity of its services, and the company firmly believes choice and availability are essential for its customers, which is why it provides such a comprehensive and reliable emporium. With “family business” being at GPR’s core, it continues to focus on creating a business environment that provides you with what you need, when you need it! GPR continues to invest in its marketing services so it can combine its efforts with other companies, resulting in greater benefits and expanding brand awareness, while strengthening business relationships within the industry. Many racing enthusiasts still arrive at track and test days without all the essentials, so here at MSD we’ve put together a short list of must-haves to help you make sure you aren’t caught out on the day. 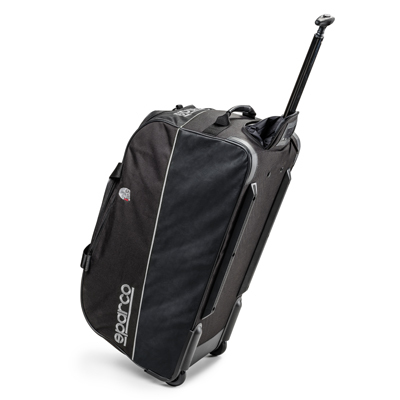 Most of this can be bought on a budget from the usual retail stores or online, and it can all fit neatly into a box, making it easy to transport and store either at the track or at home. Gaffa tape – holds most cars together, but useful for taping bodywork or the handbrake down. Towels, wipes and window cleaner – if the car in front sprays you with dirt, it goes without saying that you’re going to need to wipe it off. Funnel and jerry can – some track day organisers charge if you run out on track, so make sure you’re well prepared. 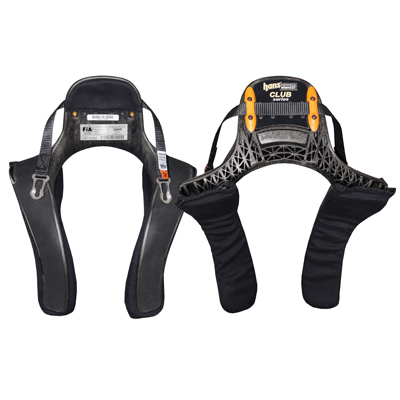 Torque wrench/wheel brace – basic safety, make sure the wheels are tightened up correctly. Latex gloves – not crucial, but useful if you don’t want dirty hands all day. 2 x axel stands and jack – an important piece of kit if you have an excursion and need to check under the car. Foot pump and tyre pressure gauge – simple setup, but crucial to make sure temperature is working evenly. Spanner set and screwdrivers – if you do any last-minute checks or have an incident, you will be grateful you have these with you. Fluids, oil and brake fluid – most checks will be done at home, but you might need these on track if you run the oils low. MOT suitable for track – make sure the car is safe and presentable. Fuel – as above, fill up and be aware of the gauge. Towing eye – just in case; you don’t want them pulling your car from the bumper. Car empty from spare wheel, rubbish – make sure you’re not hit by any debris in the car. 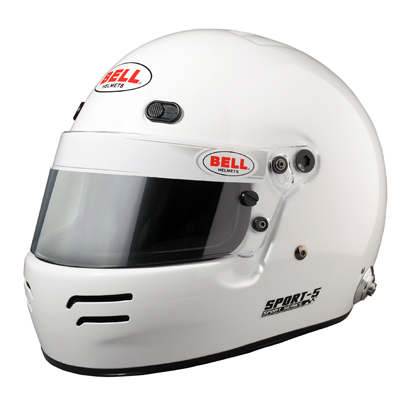 Helmet – crucial and can be cheap; don’t be tempted to use a bike helmet. 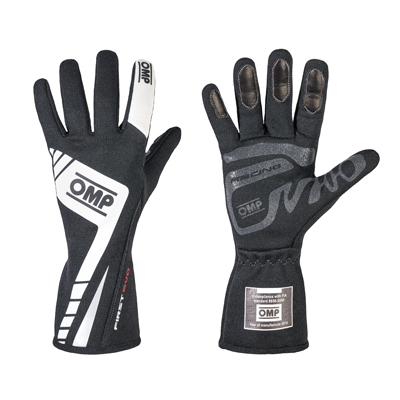 Gloves – help grip the steering wheel better. 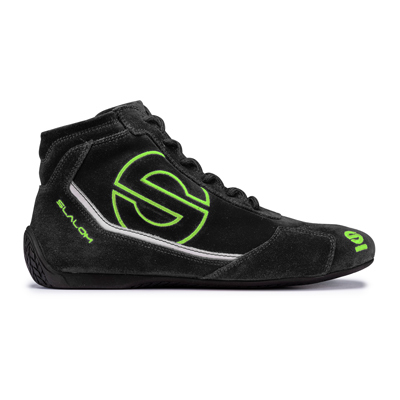 Racing boots – racing boots are specially designed to be thinner and grip the pedal better. 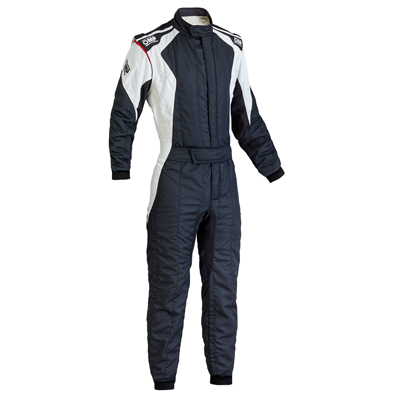 Racing suit – not necessarily essential, but certainly recommended for open cockpit cars. Below is a guide to help you achieve the optimum line on any motor racing circuit. Keep it simple by following these steps. There are many different racing lines, but most racers are never going to give up their hard earned experience. However, we’ve looked at the different lines that either a novice or an experienced racer could learn from. Remember, for our individual circuit guides make sure you visit our track guides, which can be viewed here. The first and most important thing is to look at a corner in segments. Take Paddock Hill Bend, for instance. I used to be very nervous of this bend, but the best advice I was given was this: ‘Which part are you nervous about?’ This hadn’t occurred to me before; I hated the corner because of a crash, so it put me off the entire corner, not just one part. I was told to break it down and realised I’m fine on the apex and exit – the problem is just with the braking. “So work on the braking,” I was told. I did and I built up confidence quickly and never looked back. It was great advice and it changed my outlook on many corners, and helped me build up speed and effectiveness. Another tip is to work backwards. If your exit is too wide, you were either on the brakes too late and missed the apex, or on the power too early. So you must sort the braking or throttle input first. Brake earlier or apply slightly less throttle and you will come out of it inch-perfect knowing you are onto a good lap. The entry and exit affects the speed into and out of the corner, and onto the following straight. A late apex is used to maximise the acceleration onto the following straight. In contrast, an early apex maximises the use of speed from the incoming straight; this is used when approaching a corner where the following straight is a lot shorter than the straight before the corner. Hitting the apex in the middle is a reasonable way to take a corner, keeping a good speed constant into and out of the corner, and maximising mid-corner minimum speed. Some people might say you can reduce this to three points and not include the exit, but this is linked with the braking, as I’ll explain shortly. The first step is to analyse the corner; what type is it – short, long or hairpin? Does it have any extra relevance, such as leading onto the next straight or corner? If so, this will change everything, so look ahead. Always look through the corner. The optimum line is the line that minimises time spent in the corner and maximises the overall speed. If you take the line with the smallest radius, this should suggest it would minimise the distance. However, travelling on the widest line at the highest speed compensates for this extra distance. Again, look at the corner and visualise the best line, and always take advantage of a track walk to look for a different perspective – both the driver’s view and the reverse. Did you know most people don’t brake hard enough? Modern road cars allow you to really jump on the pedal. The best practice is to pick a few corners and experiment with different braking pressures to see the difference, but you need to give yourself room, and warm up the car and yourself first. Practice your braking with no one around you and check your mirrors before you slam the brakes on. What you are looking for is the right pressure on the pedal, without locking up, but effectively slowing the car down enough to start the turn. Be sensible and build up your braking. Your aim is to reduce the area you’re braking in, to be short and sharp. I look at it as a percentage game – 80% hard breaking and then slowly release the pressure as you turn in. You need to get most of the braking completed before you turn into the corner. Most driver briefings say you should never brake in corners, which is absolutely true for a novice, but it depends on the car, driver, experience and even the corner. With Druids at Brands Hatch, for example, I approach the corner and brake just under the bridge with 80% braking pressure and then slowly release as I start my turn to the apex, with a slight pressure on the brakes to get the nose of the car in and power out. But this can go horribly wrong on track if you’re a beginner, so work with an instructor and build up to it. This massively helps with under-steer at this corner and it can also be used at the last corner at Donington to again help get the nose in, otherwise known as trail braking. Pick your spot, look at references around you – a brake marker board, marshal’s post or even a tree – and build up confidence in the corner. All circuits have them, just look out on your installation lap or first lap to work out your boundaries. Once you’ve done this, it will help with consistency. Again, take your time, but remember you must turn in at the correct point to hit the apex. Carry in too much speed or miss the turning in point and you will miss the apex. Too early and you will be too tight; too slow and you risk entry speed. This requires a similar approach to the braking. Think about finding your turning in point, and think ‘where is the apex?’ If you know where the apex is, that’s what you need to aim to be within, but again on some corners this might be late in the corner. So you will brake, turn in, apply the throttle and then come out and hit the apex. But generally, for most you will simply aim for the mid-part of the curb. The apex is the sweet spot of any corner; it’s not necessarily the fulcrum or the middle, as it can change depending on the corner. The idea is to carry as much speed as possible through the corner, with the line that minimises the tightness and allows the optimum grip and speed. Using Druids as an example again, it has two common lines that racers use. The conventional track day line, which is the one Paul Rivett in the Clio Cup uses, is to go in deep, turn in and clip the end of the curb, which creates more speed downhill to Graham Hill Bend. On the other hand, WTCC driver Tom Chilton takes a tighter line while trailing the brakes to help get the nose in. The latter does help defending and it is my preferred line, although it does sacrifices a little on speed down the hill. So both are optimum lines, but have different apexes. It’s dependent on the individual driver, so experiment with both. Once the braking and apex have been mastered, you should now be able to apply throttle and start to reduce the steering input, and let the car drift to the outside of the track by allowing the car to increase speed without lifting. I see many drivers make a very common mistake here: most drivers believe that getting on the throttle is most important in mid-corner, when it’s quite the opposite. What happens is a driver will brake too late or too early and get on the power before the apex, come out of the corner too quickly and lift to adjust the corner, which massively reduces the speed down the straight. As mentioned earlier, you must break each corner into segments to find the optimum line. If you run wide and lift you’ve probably got on the power too early. In most corners you do not need to get on the power until you have passed the apex. It sounds slower, but next time you watch Lewis Hamilton in a car, you’ll see he does exactly this – maybe a lot faster, but essentially applying the same principle. All of these steps are guides and you need to take each corner on merit. It’s the same principle for wet weather driving too, but the more practice you get the quicker this process will become. All of this track work comes down to experience and time, but we thoroughly recommend making use of tuition. When you arrive at the circuit, sign on early and make sure you have your driving license with you. Most organisers now accept just the photocard part but it’s always a good idea to take both parts with you. Fill in and sign the agreement and disclaimer forms before you get there. These are usually emailed to you with your booking. It saves time when signing in, as it is often very busy. Get the car prepared before the drivers’ briefing, as when it finishes you may be out on track within minutes and you don’t want to waste precious track time. Check tyre pressures and the oil and make sure you have a full tank of petrol. There will be a drivers’ briefing about half an hour before the track opens. Pay attention to the person giving the brief and don’t be afraid to ask questions if you don’t understand anything. The others will doubtless be pleased you did to save them asking!! If there are instructors available, USE THEM. Some organisers offer it as a service, others will make a small charge of about £25. It will be worth it no matter how good you are. Enjoy, relax and stay alert at all times in the car and the pit lane. I have seen people crash even after the chequered flag has ended a session!! Don’t worry too much if it rains. Just stay off the curbs and do all gear changes and braking smoothly – it will be fine. Generally, you will need to be over 16, but age is no barrier. I was at a track day recently with a 70-year-old and his Dad was driving!! Last bit of advice: stay on the black stuff! If you are using your own car – great, it will be a thrill to feel it put through its paces, but you will get heavy tyre wear and use petrol like you wouldn’t believe. Make sure there is nothing that will move about inside the cockpit or boot and clear out the internal compartments. Also, make sure you have light and comfortable driving clothes and a pair of light driving shoes. Race boots will help but are not essential. Take a few tools – wheel brace, tyre gauge and spare oil are essential. Make sure your towing eye is attached. If you’re hiring a car, so much the better, just about everything you need will be someone else’s problem. Some track day organisers hire out their cars and provide instruction. If you are keen to get into track days, it’s probably the best way to start. It gives you the chance to try it without risking your pride and joy but will be more expensive. Companies to try include Book a Track and BHP. Remember you can insure your car for track days – costs vary from about £80 to £400. Arrive early, be rested, it’s knackering mentally and physically. Don’t eat too much and drink water a little at a time. You can’t pull over for a pee, but too little water and you will dehydrate. MotorsportDays.com will have given you plenty to choose from. Pick a track near home. Some track days are better than others for novices. Single make ones are excellent, such as Lotus Seven or manufacture days, and I would recommend joining a club appropriate for your car. Choose a day with groups rather than an open pit lane. That means that you can choose to go on track at the same time as other novices and people who have not done much track driving. Each session lasts about 20 minutes and you should get five or six sessions in a day, or three during an evening session. It might not seem a lot, but it really is plenty and gives the car a rest between sessions. It will also mean that you will drive out on track at the same time as the others and not have to blend in with fast moving traffic. If you have done lots of track driving, this article is not for you! If, however, you are thinking about doing a track day or buying a track day as a gift for your husband, wife, son, or to reward high performing staff member, read on. Novice track day drivers actually stand out a mile from experienced track drivers and especially those who have done some racing. That should not put you off – it’s actually a help as they can avoid you and give you space.